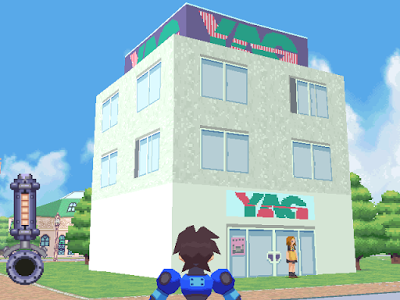 Enjoying Mega Man Legends? Great! Here's a few quick things I wanted to pass along. Don't worry - it's nothing bad! Just some generalities and tips you should be aware of. Does your game look like the image above? There's a quick fix for that. Under "Other Settings" switch the disc speed to "Normal." This is a known-problem with several PSOne Classics, it's not exclusive to Legends. No worries! For one reason or another the game suffers quite a few frame dips not previously seen in older ports . This is more apparent when playing on Vita or PSP*. Areas known to induce drops include the Cardon Forest, Apple Market, Clozer Woods, and select portions of Uptown. There is no fix - you'll have to bear it. When Capcom USA first announced the game for PSN they ruled out PSP compatibility due to "a variety of constraints." However, players were quick to discover it runs on PSP just fine. The problem is, you can't download it on PSP from the PSP online storefront like you normally would. Problem is the option to download it directly to PSP was removed by Sony shortly after launch. No workaround exists at this time, I'm afraid (thanks for the heads up, Justin). And for what it's worth the game runs just fine on a PSTV. Unless you're Square Enix, PSOne Classics normally run for a cool $5.99. Mega Man Legends is $9.99. Why? A reliable source of mine says the extra four bucks helps pay licensing fees. That's how Capcom got Mega Man Legends up on PSN in the first place; Sony policy prevented them from removing certain logos so they're paying the fee to use them. This shouldn't be an issue with Legends 2. Unlike 1, Legends 2 doesn't reference another party's intellectual property. So when (not if) it heads to PSN, there's a good chance it will be priced at the typical $5.99. It's something to watch out for. Oh snap. I wasn't even aware I could change around the buttons. 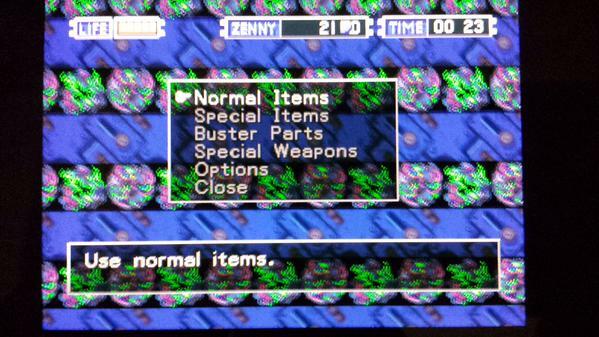 That was one of the big things that was keeping me from really getting into Misadventures of Tron Bonne. Just played around with the suggested set up and it works surprisingly well. The only change I made was to make L = R2 and R = Square so I can use the two sticks to run around and shoot with the right trigger like a more traditional modern third person shooter. 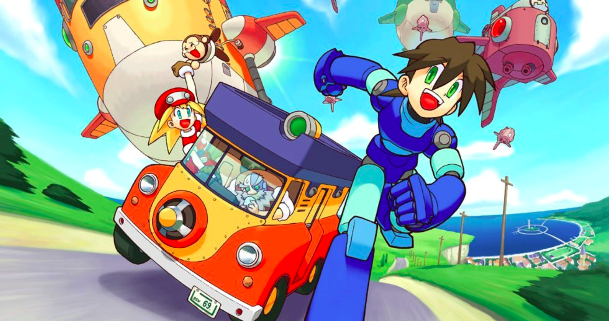 My PS Vita runs Mega Man Legends just fine. Why are we mapping L2+R2 to a direction on the right stick? L2 isn't used in Mega Man Legends, and there's definitely no reason to press it and R2 simultaneously; this is especially the case if you've already got R2 mapped to either of the shoulder buttons. I think mapping R2 to the stick would just mess with one's ability to circle and shoot effectively, as the Vita's sticks are so sensitive that it would be too easy to press slightly downwards -- entering the lock-on mode -- while maneuvering the camera. The same goes for L1+R1; we don't get any benefit pressing them simultaneously. It's best to just leave up & down on the right analog stick unused, I believe. I personally have one of my shoulder buttons mapped to lock-on (R2) and the other mapped to basic fire; the rest of my controls match the above guidelines, except "start" and "select" are perfectly fine where they are, and I don't have any reason to touch the screen. I'm honestly very surprised about the frame dips. It's not a very demanding game. Not very demanding but a awesome one at that. will it work if you download the game to the PS3/4 and then transfer to PSP? If no one's verified this, I'll test it out tomorrow and get back to you. I just tried it and it DID work.